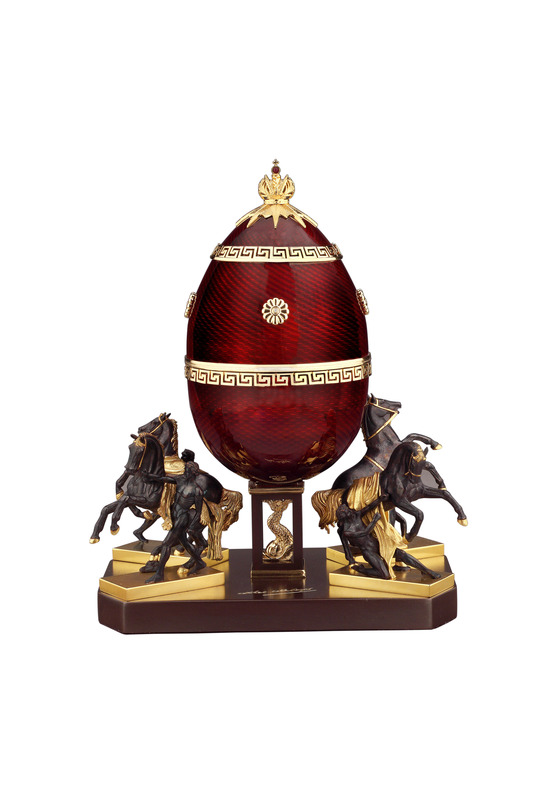 In 1993 Theo Fabergé returned to St Petersburg with a group of his Collectors. It was on a warm sunny day that he walked over and marvelled at the Anichkov Bridge on Nevsky Prospect. This was the first and most famous bridge across the Fontanka River. The current bridge, built in 1841-42 and reconstructed in 1906-1908, combines a simple form with some spectacular decorations. As well as its four famous horse sculptures made in 1849-50, the bridge has some of the most celebrated ornate iron railings. The bridge is mentioned in books by Pushkin, Gogal and Dostoevsky. 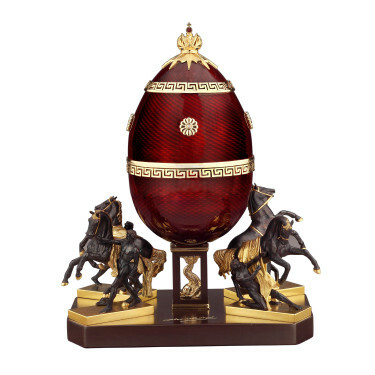 The beauty of the bridge inspired Theo Fabergé to create his Anichkov Egg. 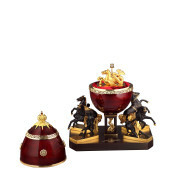 The Egg crafted in pure gold, sterling silver and cherry red guilloché enamel is supported by the four horse sculptures. 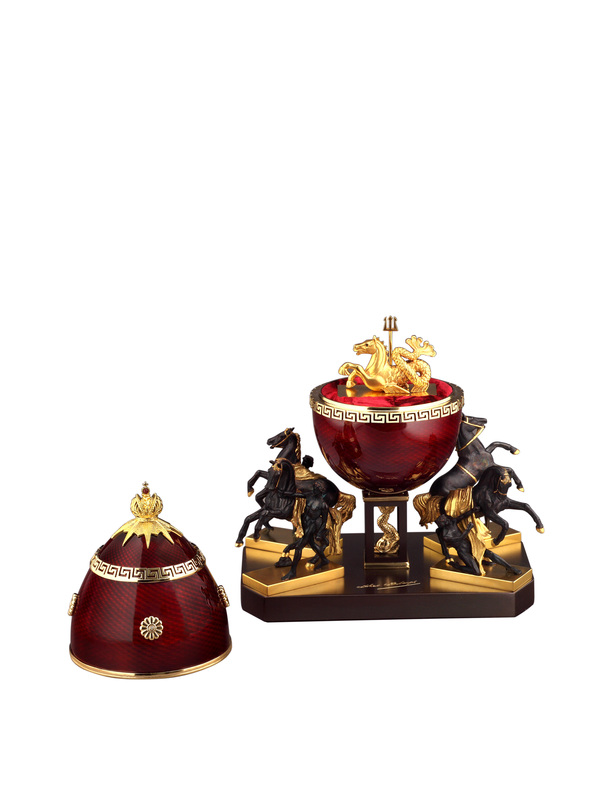 The finial of the Imperial Crown is set with a cabochon ruby. The surprise within, is a sterling silver and pure gold merhorse holding a trident, a design feature from the bridge railings. The base of the surprise is fully hallmarked with Theo Fabergé’s personal mark.